In this fast, furious and fun adventure the GM gets to pick from three different scenarios and various scenes, complications and dilemmas to make your own special adventure in a flooded trailer park. The adventure includes 8 incidents that the GM can weave into any of the three scenarios. Also, the Scavenging rules give the characters (we call them 'Parkers) a chance to find useful items in the flooded park. That is, 'Parkers willing to brave the shark-infested waters. You can’t swim? You might wanna start sayin’ your prayers. DHR is updating TPSA! for Savage Worlds Adventure Edition. Purchasers of the current version of TPSA!, past and present, will get the full updated version when it is released. For now, we have added the JumpStart version for Savage Worlds Adventure Edition to the product zip file. DHR is an Ace licensee publisher for Savage Worlds. A Checklist that lists all the documents and their purposes, from the adventure to character cards to maps. TPSA_SWADE_JumpStart.pdf - the Jumpstart version for Savage Worlds Adventure Edition. Why did your trailer park flood? Why is it full of sharks? Make it to the end and find out! I purchased the full PDF - wow a lot of stuff (500MB+) for $9.99. However, I can't find the main thing I wanted to add to the jumpstart edition - figure flats specific to this game? I know there's a lot of "free" flats we can download, but would be nice to see actual versions of Drunk Uncle, Gun Nut, Exotic Dancer, Bubble Boy etc! Maybe the standees are buried in one of the PDF I haven't opened yet? No sir, you aren't missing the "flat" minis for the TPSA! characters. As you noted, there are free downloadable paper minis (another comment cited some) that we recommend for use. Producing paper minis for the 24 characters would be quite nice, we agree, but wasn't something we could pull off without increasing the cost and probably delaying the release of the product, neither of which we wanted to do. That said, we have the development of expansion packs on our list of things to do (e.g., another scenario, more incidents, more characters ... and maybe paper minis for the TPSA! character deck). Maybe we will produce some original artwork paper minis for the 'Parkers if the demand is great enough. Any recommendations for PC minis/figure flats? There are many options. 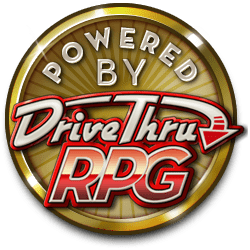 Here are all the sources we have used ... all DriveThruRPG publishers/products. The bulk of minis used in TPSA! Any plans to update this product to SWADE rules? Yes. In fact, TPSA! is one of the JumpStart adventures associated with the Savage Worlds Adventure Edition Kickstarter. The SWADE JumpStart version of TPSA! will be a short version of the adventure, fully playable but without all of the goodies. And then DHR will be updating the full product using the new SWADE rules. The Terrain and Vehicle Tiles pdf files don't seem to exist in the zip file. I have a bunch of individual jpgs but not the pdf versions. We have tested the download ourselves several times and we do find the two "TPSA_Tiles" pdfs. A couple of other purchasers contacted us directly to report problems unzipping the complete set of files initially, but they were able to find all 75 files (15 pdfs and 60 jpgs) upon retry. And other purchasers have confirmed finding all 75 files. The pdf filenames are listed in the TPSA_SW_Checklist.pdf -- if you cannot find them after searching and retrying the download/unzip, please contact us directly or use the Contact Publisher link. We have updated the product zip file. Purchasers should see an updated link in your download history. I want to thank you guys for your tireless customer service and excellent communication while resolving this problem. Thank you very much. A belated "you're welcome." Thanks for your patience and for helping us test the updated download file.